Each column, I recommend lesser-known documentaries that I stumble across or are suggested to me, tweet me your suggestions @robinhardwick. This week, I look at two HBO documentaries that deal with the endurance of familial bonds. 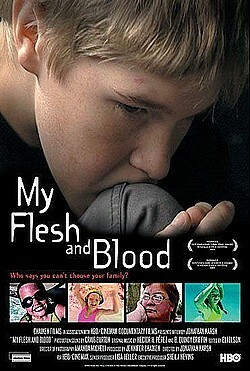 My Flesh And Blood chronicles a year in the life of the Tom family. Susan Tom is the adoptive mother of thirteen children with serious mental and/or physical disabilities. My cynical self expected Susan Tom to consider herself a martyr and a savior. Sure, it's admirable, but is it possible? Is she really helping these children? Absolutely. Susan provides a loving home for these children, but she is also stern when she needs to be and sets boundaries when needed. She shares her hardships, fears, and self-perceived failures in her quest to mother, which makes her relatable and not on a pedestal. The film only features a few of the children, who are fascinating and of course, heartbreaking. Faith was burned in a fire as a baby and suffers disfigurement that will affect her for the rest of her life. Xenia was born without legs, and appears to be very well adjusted and comfortable with her body, excelling socially in her junior high and is able to joke about her condition. Albert has a rare skin condition that gives him severe infections and loss of limbs. Finally, Joe has cystic fibrosis and is not expected to live much longer, along with severe HDHD and behavioral problems. What I admire the most about this documentary is not a parade of illnesses and abnormalities. It's about Susan Tom dealing with whatever issues come along with parenting these children, which is anything from invasive hospital visits to typical parenting woes. What the camera shows is a well-behaved, although rambunctious group of kids, mostly due to Susan's patience. Even more surprising is that several of the children still have contact and relationships with their birth parents, which Susan encourages. The most intriguing character is Susan's biological daughter Margaret, who at birth had brain illness but has since thrived without any recurring issues. Margaret acts as the second caretaker of the family, sacrificing a normal teenager's life for the care of her family. Now attending a nearby college, her situation begins to weigh on her and she suffers a near breakdown. Susan, despite being the caretaker of so many troubled kids, doesn't comfort her in the way you'd expect. The documentary only covers a very short time, and even though this is an uplifting documentary, the viewer can't help but wonder what the future holds; several of her children are likely to die young, and several will need constant care for the rest of their lives. I've done extensive searches for what has become of the members of the Tom family, and other than an appearance on Extreme Makeover: Home Edition, there is little information about their fate. Maybe it is better not knowing. 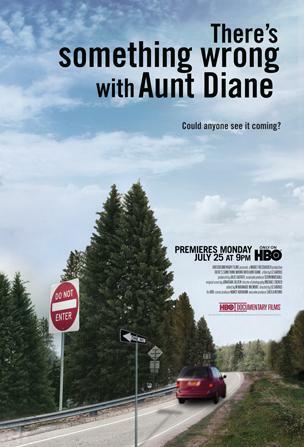 The filmmaker of There's Something Wrong With Aunt Diane offered to cover the costs of hiring an investigator and retesting the blood samples if they could film a documentary about her family. Diane's husband and sister in law agreed to go forward; Diane's sister and the mother of the three girls who were killed declined to appear. I vacillated between thinking that this family was in complete denial of Diane's problem, to thinking there was no way in hell she was drinking, and that something else had gone wrong. How well do you really know someone, even being married to them for nine years? Diane's friends and family are interviewed, painting a picture of Diane that was ideal yet not complete. The frustration of not being able to know the truth, coupled with watching the surviving family struggle with their grief makes this not suitable for a light viewing. Even after watching I still don't know what I truly believe.